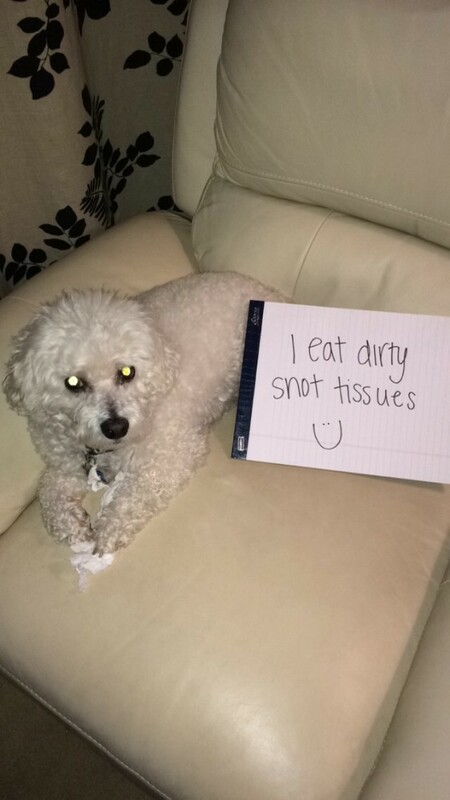 I leave for 3 minutes and Doogie thought it’d be a good idea to get his paws (and mouth) on a tissue that I had just 5 minutes prior blown my nose on. He felt left out being the only one in our house not sick. Posted September 30th, 2017 .